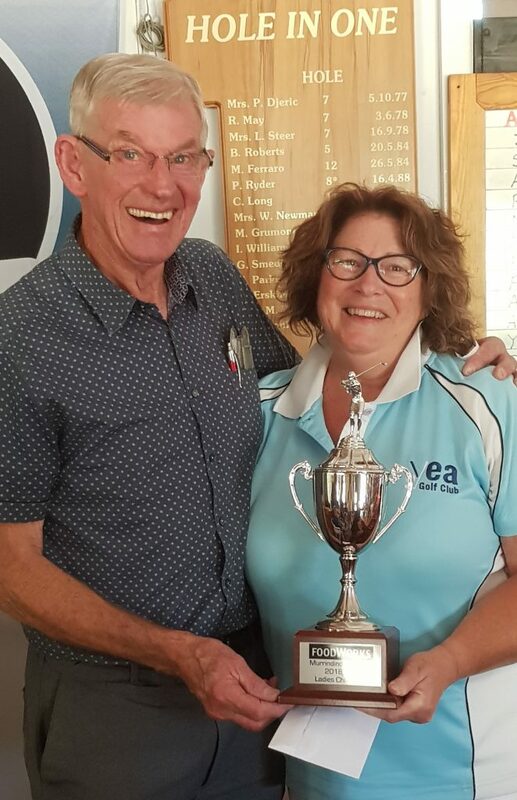 Competing in the fourth and final round of the 2018/19 Murrindindi Masters held today at Eildon Golf Club, Yea Ladies Golfer, Sue Aurisch (32 Pts today) was ….well let’s just say… initially shocked, very thrilled, and nearly speechless …. 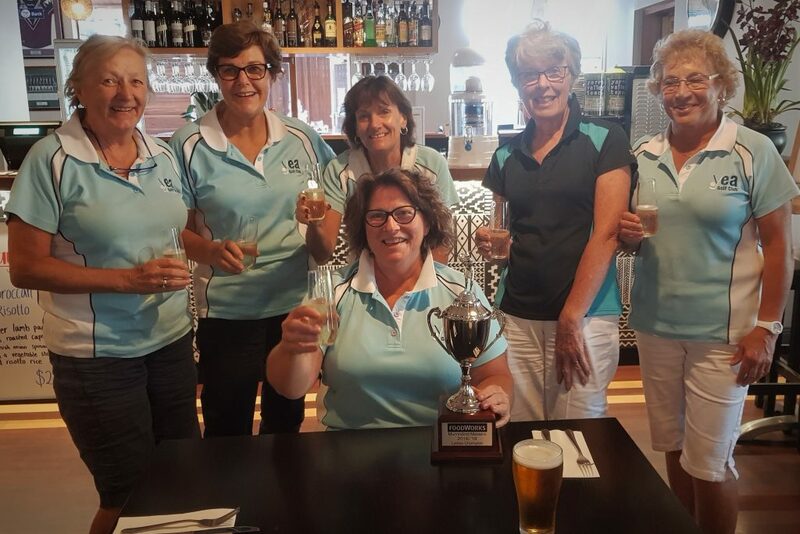 when it was announced that she was the 2018/19 Murrindindi Masters Ladies Champion! Congratulations Sue!! Your teammates and Club are so thrilled for you. But wait there’s more great news of our Lady golfers …. 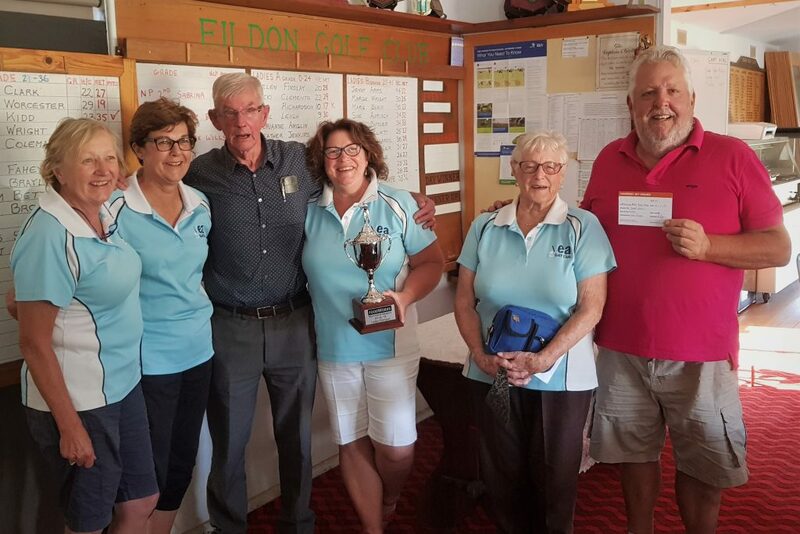 Ivor Brayley was drawn as the lucky winner of a $100 Foodworks Voucher… just for competing in the Murrindindi Masters.